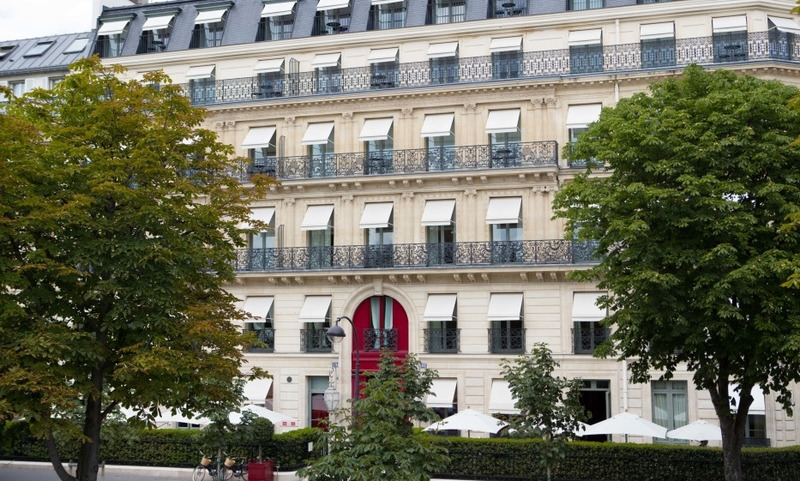 La Réserve Paris Hôtel and Spa is closer to a lifestyle choice than it is a place to stay the night. One of Paris’s most exclusive hotels, if you’ve signed the guestbook in other La Réserve hotels, you’ll know what to expect: A place where guests find a “ home away from home” on their travels through Paris. Here, one never feels like they’ve checked into a hotel. Instead, a stay at La Réserve is like entering an inner circle of people in the know, where globetrotting and fine living is the norm rather than the exception. A limited number of rooms and common areas create an aura of exclusivity and intimacy that let you sink right into La Réserve’s philosophy. Staff appear and disappear at your beck and call, there’s always a fire crackling in the library, and the Nescens Spa - the first of its kind in Paris - has all the panache of a Romanian bathhouse. Pair the atmosphere with sleek designs by artist Jacques Garcia, and there’s no doubt that La Réserve Paris Hôtel and Spa is one of the best hotels for the discreet, the chic and the discerning in the City of Lights. Live in a 19th century intimate Parisian urban mansion comprising only 26 Suites and 14 Bedrooms. Complimentary access only given to the hotel guests to the Library, the Smoking parlour and the Spa. Complimentary private bar in the room with refined selection of soft drinks and sweets refilled on a daily basis. Excellent hotel, confidential character very appreciated, very attentive staff, without forgetting its ideal situation. Beautiful hotel with excellent staff who are all courteous and helpful. Very well located. Comfortable, nicely decorated with great ambiance. I just love it! The common areas are cozy! The staff are especially lovely. Unfortunately I didn't have the opportunity to test the restaurant! Next time! Tout simplement fantastique. Class act where the chic Parisian splendour meets the best of the modern technology with a Faultless service to match . Great hotel, royal but cosy. The staff is friendly and attentive especially the concierge! The taxi I booked couldn't reach us at the hotel due to the extended taxi strike I was due to miss my train but the concierge saved the day calling urgently the hotel car which took us just on time to the station! We stayed at La Réserve to celebrate our wedding anniversary.The hotel is a real palace, very luxurious. The staff is helpful and very friendly and they make you feel at home. We appreciated our private dinner at the library. We had a marvelous stay and we would like to return. Our stay was worth a 10.